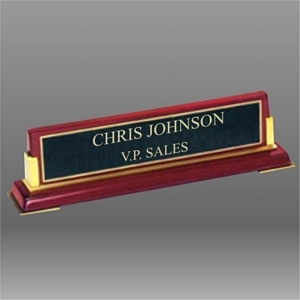 588 ROSEWOOD PIANO FINISH DESK NAME PLATE WITH BLACK BRASS ENGRAVING PLATE. 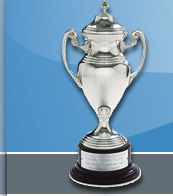 PLEASE CALL OR EMAIL FOR QUANTITY DISCOUNTS AND ENGRAVING QUOTES. AS A RULE OUR ENGRAVING RUNS .23 PER LETTER WITH A MINIMUM CHARGE ON THIS ITEM OF $3.00. LOGOS RUN ON AVERAGE $6.00. THE FIRST PROOF IS DONE AT NO CHARGE.